It’s fitting that Maggie and James were married at a vineyard. The day the couple got engaged, they had been visiting one Loudoun County winery after another as, unbeknownst to Maggie, James’ surprise proposal was thwarted by a bachelorette party at each location. 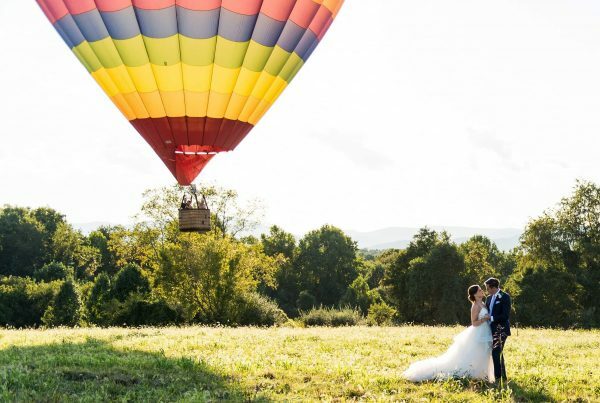 Once he was finally able to pop the question (later that evening at Washington, D.C.’s Botanic Garden), the couple decided on a late-winter wedding at Pippin Hill Farm & Vineyards. It was important to them to aesthetically bridge the gap between winter and spring. 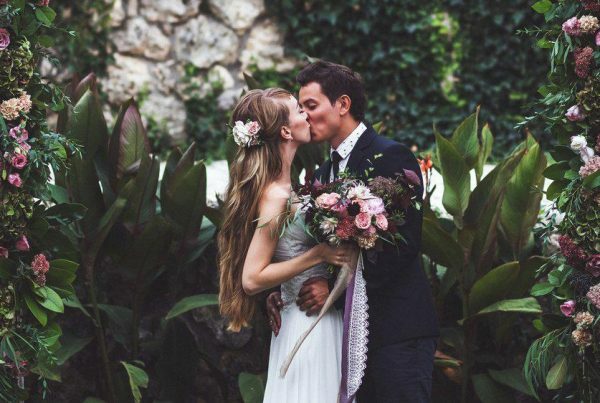 That meant keeping a formal vibe in a soft color palette—long, silk bridesmaids gowns in blush pink, traditional peaked-lapel tuxedos and plenty of flowers. Maggie and James were married under an arbor covered in hydrangeas, roses, magnolia branches and jasmine; lush arrangements hung above the farmhouse tables from suspended antique ladders. It struck all the right notes—elegant and romantic, just as they planned. 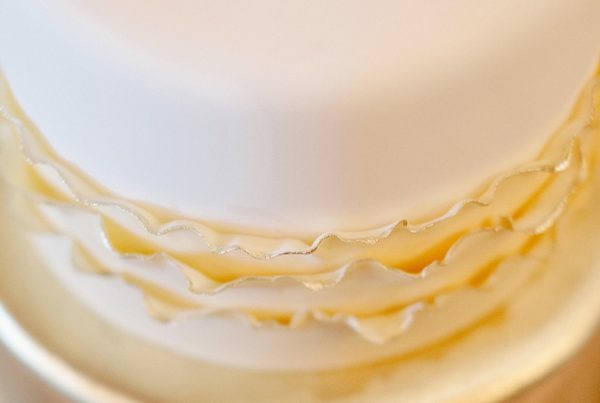 Next PostFill me in: When it comes to cake trends, what’s hot and what’s frosted? Best of C-VILLE Weddings: Your picks for the area’s top wedding vendors!